The huge resolution makes possible the capture of fingerprint details as sweat pores. The combination of sweat pores and minutiae increases the security. DAKTY-4000-RPI scans the fingerprints in two spectral ranges: visible and infrared, giving important multi spectral information . Many interfaces as WiFi, Ethernet and Bluetooth are available. Powerful libraries as the Open Computer Vision runs on the Raspberry Pi. 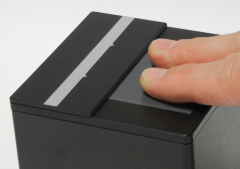 The standardization of the hardware and of the software makes DAKTY-4000-RPI one of the most flexible fingerprint scanner ever. 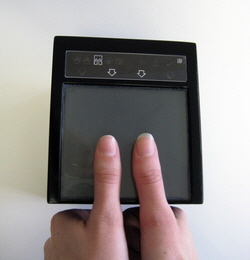 Using the NAOS technology we developed the first color finger print scanner and passport scanner DAKTY-4 PASS. This means comprehensive identification and security in just one device. Another feature: the DAKTY-4 PASS has an extreme robust fiber optic technology, which prevents the sensor surface from going blind. Similar to its smaller brother DAKTY-4 HD, DAKTY-4 PASS is equipped with a large scale sensor surface made of fiber-optic glass, which consists of 370 million melted fiber optic strings. As soon as the skin ridges touch the fiber-optic sensor surface, the scanner starts measuring the light absorption on all contact spots. The big advantage of the patented technology is the sturdiness of the very hard fiber-optic plate. It is a lot tougher and less sensitive to scratches than conventional prism surfaces - and it cannot go blind. 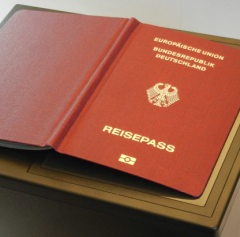 The DAKTY-4 PASS passport color document scanner is quite small in size: the top of the device is slightly larger than an opened passport, allowing reading the RFID and the optical information in one step. DAKTY-4 HD is a 1000ppi four-finger-color-scanner with an integrated multispectral color document scanner using the NAOS technology. 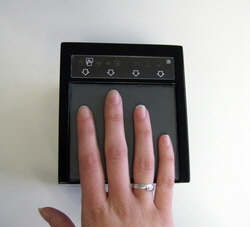 Thus both the documents and the biometric identity are examined with a single device. Another feature: the DAKTY-4 HD has an extreme robust fiber optic technology, which prevents the sensor surface from going blind. 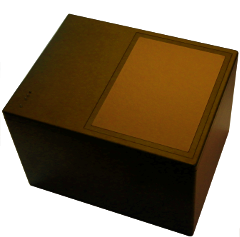 NAOS stands for Normal Absorption Optical Sensor. Compared with other four finger scanners, which operate on a prism surface, DAKTY-4 HD is equipped with a large scale sensor surface made of fiber optic glass, which consists of 200 million melted fiber optic strings. As soon as the skin ridges touch the fiber optic sensor surface, the scanner starts measuring the light absorption on all contact spots. The big advantage of the patented technology is the sturdiness of the very hard fiber optic plate. It is a lot tougher and less sensitive to scratches than conventional prism surfaces - and it cannot go blind. 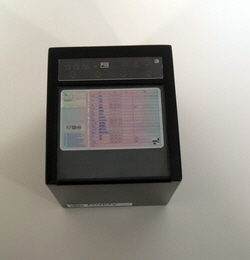 An credit card sized ID-1 color document is also included in the DAKTY-4 HD. For a better analysis of the fingerprints we have developed a 2000 ppi (pixel per inch) scanner, that scans two fingers multi-spectral and in color. 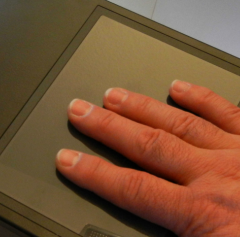 As usual by the NAOS technology, the fingerprint scanner is also able to scan behind its surface. 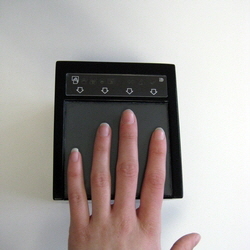 This allows acquiring detailed vital data from the scanned finger. Additionally the scanner is an extremely high-resolution document scanner that can analyze particular areas of a document in different spectral ranges for example. The DAKTY-2 HD has an extreme robust fiber optic technology, which prevents the sensor surface from going blind. NAOS stands for Normal Absorption Optical Sensor. 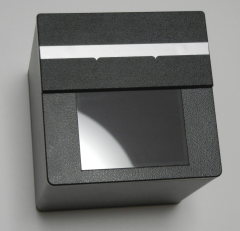 Different than other two finger scanners, which operate on a prism surface, DAKTY-2 HD is equipped with a sensor surface made of fiber optic glass, which consists of about 50 million melted fiber optic strings. As soon as the skin ridges touch the fiber optic sensor surface, the scanner starts measuring the light absorption on all contact spots. One of the big advantages of this patented technology is the sturdiness of the very hard fiber optic plate.